The holiday season is a magical time of the year. It’s a respite from winter weather and busy schedules, when we adorn our homes and offices with festive decorations, attend parties, and exchange gifts. In fact, it could be argued that a part of that magic is the excitement that comes from finding the right gift for the special people on your list. In an effort to simplify your gift giving search this year, we have introduced BLACK LABEL, a collection of holiday gift products. 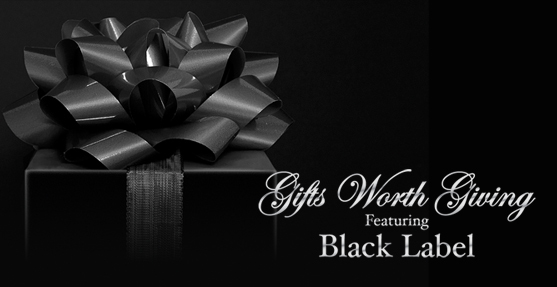 Whether you are rewarding employees this holiday season, or shopping for your top clients, Black Label has you covered! We made a point of featuring sought-after gift products that exude a high-perceived value. Rich bonded leather business gifts, dazzling drinkware options, and trendy tech items are just a sampling of the gift ideas that you will find in this year’s selection. Additionally, by including luxurious packaging for most options, we have made gift giving simple and affordable. 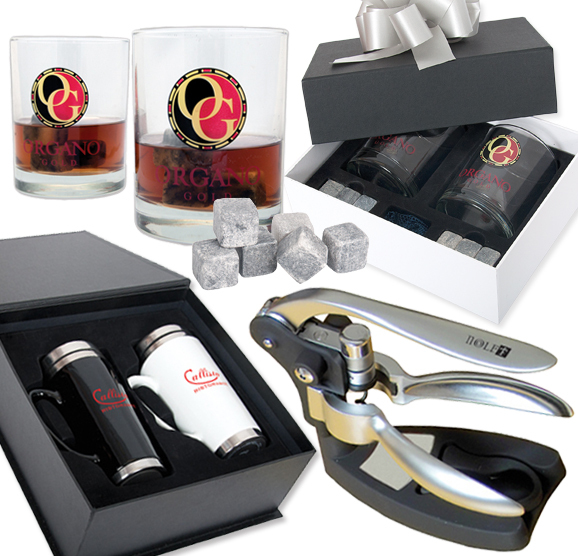 Gift sets include: Drinkware, Technology, Desktop, Travel, Business Accessories, Kitchenware, Auto, and more! TIP: Don’t limit yourself to traditional gift giving seasons. Why not shake things up a bit by sending your clients Thanksgiving gifts or New Year’s gifts? Or, make gift giving even more personal by sending a gift to acknowledge the anniversary of your working partnership. This creative spin is sure to set you apart from the crowd as a considerate and innovative company. There are many reasons to give gifts; perhaps it’s to say thank you, to demonstrate your affections, or to simply say that you care. No matter what your reasons may be, look to Black Label for simple sourcing and affordable, yet elegant, gift sets! Stay tuned for a more in-depth look at some of the Black Label gift sets in the coming weeks. Click here to review the full Black Label Collection. This entry was posted in Black Label Collection, Holiday Ideas and tagged Black Label, Christmas, Corporate, corporate gift, Drinkware, Employees, gifts, Hanukkah, holiday, Memorable, presents, Quality, rewarding employees, Staff by Debco. Bookmark the permalink.